At a conference in Moscow, President Vladimir Putin harshly criticized the U.S. for its intervention in Libya and cited it as the reason for causing further chaos that ultimately led to the attack in Benghazi that left U.S. Ambassador Christopher Stevens dead. During the conference, Putin also dismissed notions that Russia was making a mistake and losing influence in the Middle East by deciding not to intervene in Syria. He further added that his nation is only concerned for Syria’s stability and has no concern for the fate of President Assad and his regime. Putin’s comments came just as human rights investigators sent by the United Nations concluded that what originally began as a fight to oust Assad and his government has evolved into a sectarian battle, which has pitted communities against one another. Fighters from as far as North Africa are getting involved and contributing to the endless blood bath. Russia has been a long-time ally of Syria and has used its position in the United Nations Security Council to oppose intervention by the U.S. and it allies and has long defended the sovereignty of Assad’ s government. However, Russia’s tone has changed in recent days and acknowledged that Assad remaining in power may not be such a good thing. 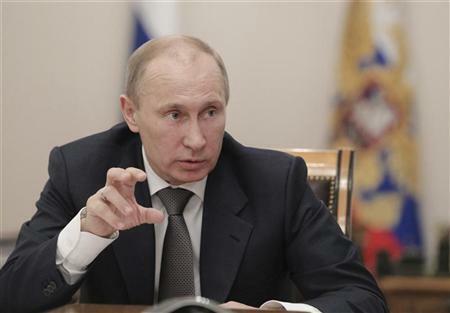 It has even urged Russians staying in Syria to evacuate the country immediately. Russia has been a major arms supplier for Syria and even regularly uses Syria’s port of Tartus as a refueling point. Even so, Putin made it clear during the conference that the two nations merely shared a business relationship and nothing beyond that. Human right investigations reveal that the situation in Syria has gone from bad to worse. Civilians are being driven out of their communities. Staying behind means they are at risk of becoming collateral damage.